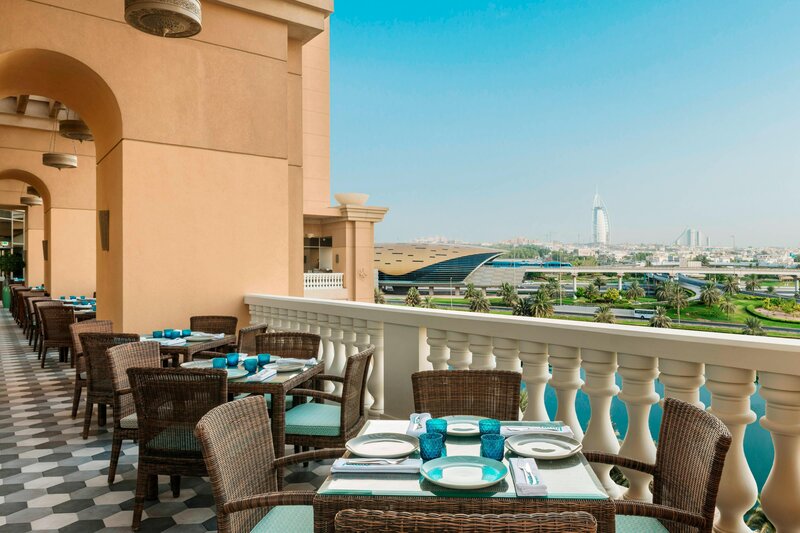 Connected to the world-renowned Mall of the Emirates, our destination hotel is a short distance from downtown Dubai, Media City and the Dubai World Trade Centre-and just minutes from celebrated sites, including Jumeirah Beach, Wild Wadi Waterpark and Ski Dubai. 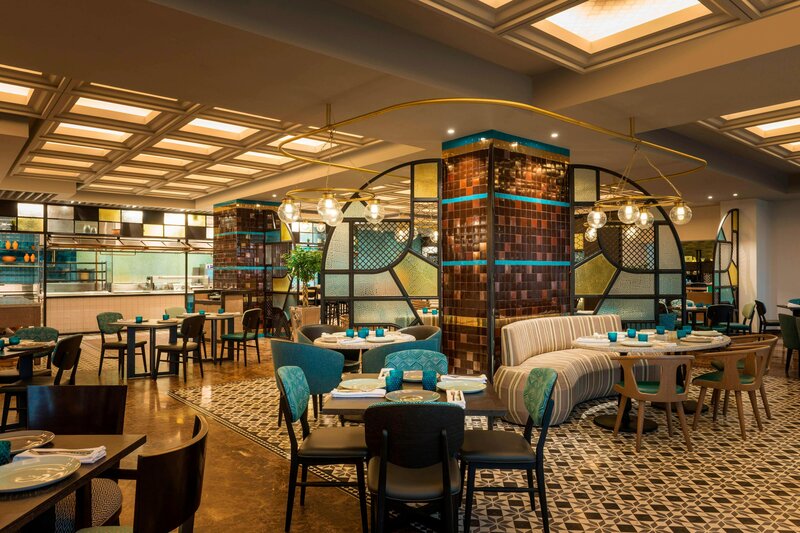 Take in breathtaking city views from our 24th-floor rooftop infinity pools and Sheraton Fitness, then meet for a drink at Vantage or experience the true taste of Turkey at Besh Turkish. For larger gatherings, we offer over 9,000 square meters of naturally lit, fully wired meeting and event space. 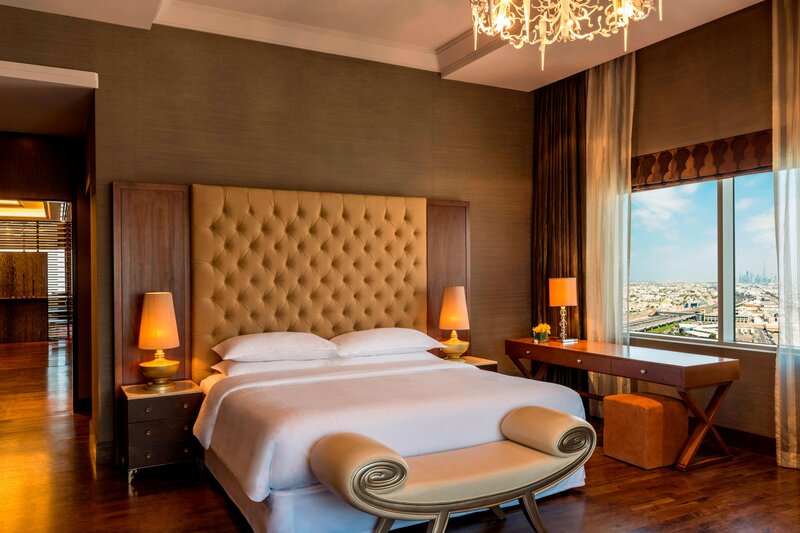 Enjoy captivating views of Dubai&apos;s stunning scenery from our 481 guest rooms, including 94 suites. 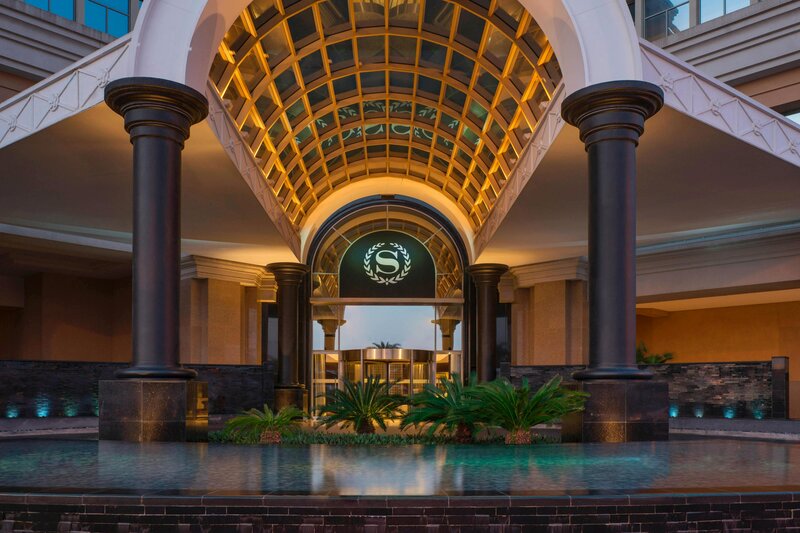 Each offers an array of amenities from our Sheraton Signature Sleep Experience bed and Le Grand Bain amenities to complimentary High-Speed Internet Access and more.. 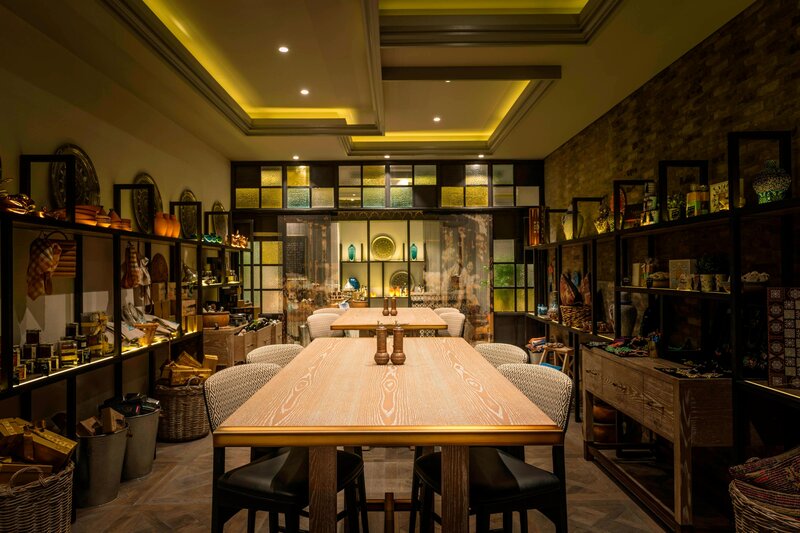 Explore Dubai’s heritage from the heart at Sheraton Mall of the Emirates Hotel. 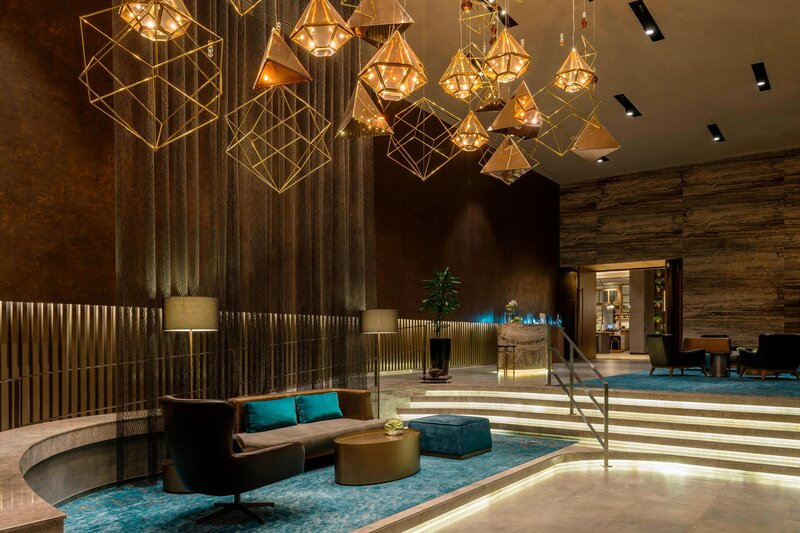 Discover architectural designs rich in culture and art throughout the hotel ranging from star studded constellations acting as chandeliers, and golden poems written by His Highness Sheikh Mohammed bin Rashid Al Maktoum, Vice-President and Prime Minister of the UAE and Ruler of Dubai. Centrally located, close to all the sights, the Hotel offers guests an ideal location to explore the city. The true taste of Turkey. 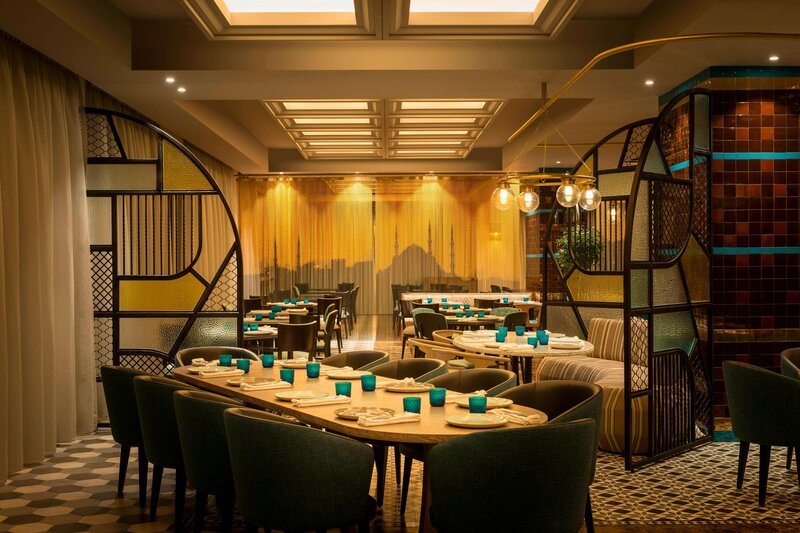 An award winning, authentic Turkish restaurant taking Turkish traditions and giving them a modern touch. Two rooftop pools offer spectacular views of the city skyline. 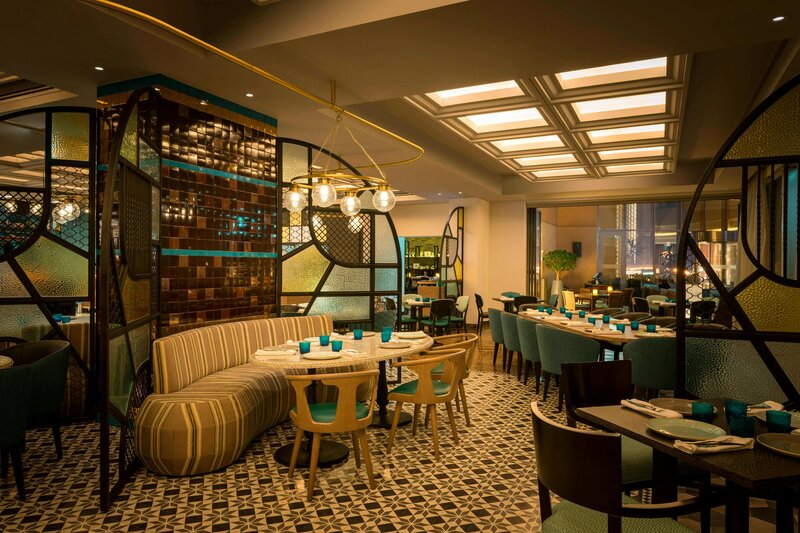 The space gives guests unrivalled views of two landmarks, the Downtown skyline featuring Burj Khalifa and look over to Burj al Arab.